Taking a break from the Korean drama hotties for the drool-worthy Ross Poldark played by Being Human alum Aidan Turner. He’s broody. And rebellious. A rule-breaker. A bad boy. With luscious curly locks. And no matter how much parasol-carrying punnany is thrown at him whether overtly or subtly, his heart is loyal to only one rather stupid woman. Sigh. Forget k-drama shower scenes, how about those British bathing naked in a pond scenes. 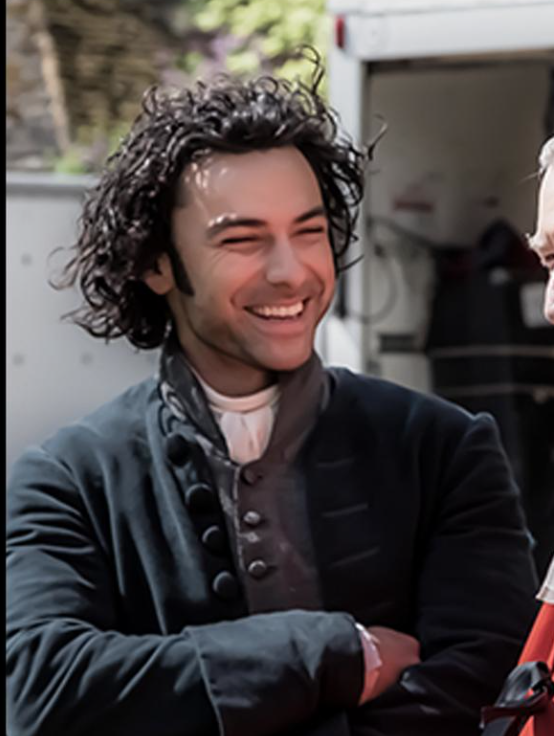 It would be so nice if we actually get to see a smile *gasp* like this from Poldark at some point. Watch Poldark on PBS throughout the summer and join the fun on Sundays on Twitter at #PoldarkPBS. Have you read the books? I did many years ago so I know what’s coming. We are waiting for series two over here and I think it will be in the autumn! By the way, it’s filmed about and hour from here! Oh, wow! I didn’t know about the books only that there was an original show from the 1970s. I bet I would have loved reading the books. Season 1 of this remake just started in the U.S.
I’d need to take vacation just to read. Haha!